This page is for the reboot. 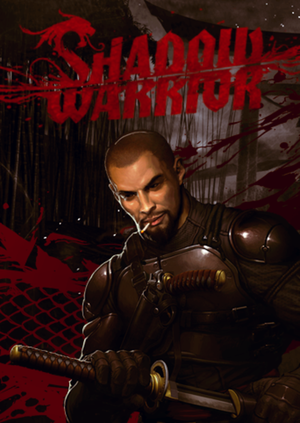 For the original game, see Shadow Warrior (1997). The Special Edition contains Hotline Miami Katana and Serious Sam 3 Sledgehammer DLC, the game soundtrack and a digital artbook. 50-90° vertical. For higher values, see Field of view (FOV). Off, FXAA and FSAA 2x-4x - FSAA only available in "Windows XP Mode" (DX9 Mode). 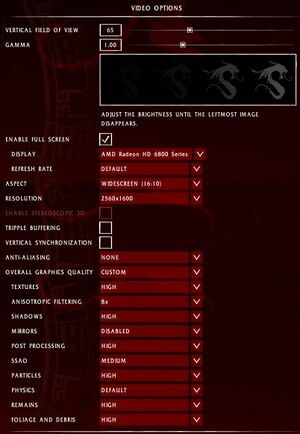 No frame rate cap as of version 1.5. Weapon FOV is always locked at 50°. Bring up the in-game console by pressing Ctrl+~. Type in and enter r_fov 100 (replace 100 with desired vertical FOV). Set the Window Style to "Borderless" then "Borderless Fullscreen" and close the Control Panel. Create an autoexec.cfg file in the installation folder. 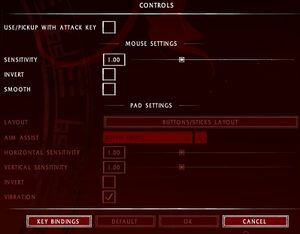 Mouse smoothing option in menu. Acceleration is not present. See here for non 360 controllers. Alternative layouts for sticks, buttons, and triggers. Replace c and z with any keys you like; use mouse_4 and mouse_5 for side mouse buttons. Global, music and voice volume sliders. Auto-detection with option to force stereo. 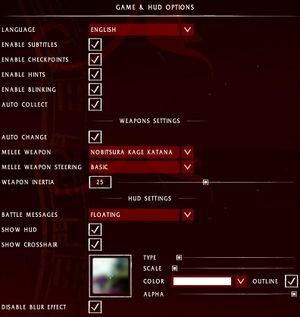 See Helix Mod: Shadow Warrior for a minor tweak. Check Triple buffering and/or Vsync box in video options menu. 3.2, 4 OS X and Linux only. This page was last edited on 16 April 2019, at 00:08.